Thinking about a new gas fireplace? At Fireworks, Inc., we have made a major commitment to gas hearth products and the special skills associated with these highly technical appliances. Our Factory Trained sales staff will help you choose the model most suited to your application, explaining the benefits of the various options and features, guiding you toward the best choice for your home and your family’s comfort. Come to our showroom and experience our “Live Burn” displays! Let us demonstrate the latest innovations and features like “LED illuminated embers”, ambient lighting, “ceramic glass”, and more! 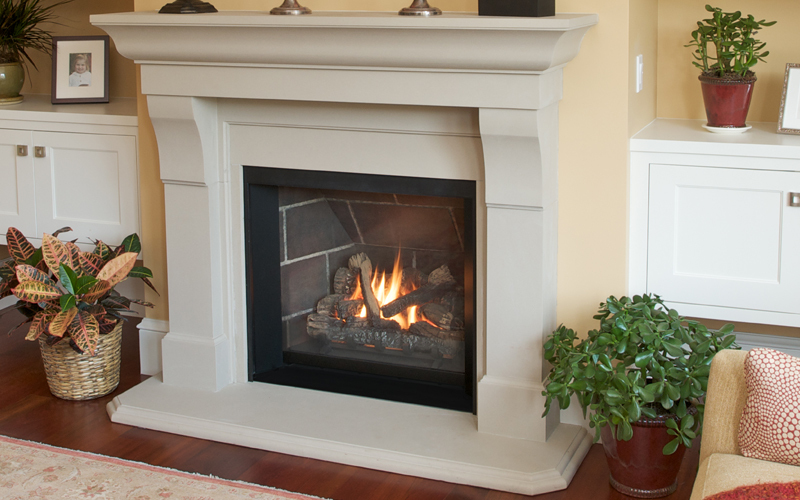 All of our gas logs, inserts, stoves, and fireplaces are offered as a complete “turnkey” package including gas lines, electrical connections, framing, drywall, exterior chases, and more all expertly installed by Fireworks, Inc. technicians. No gas? No problem! We can coordinate your natural gas or propane delivery, too!